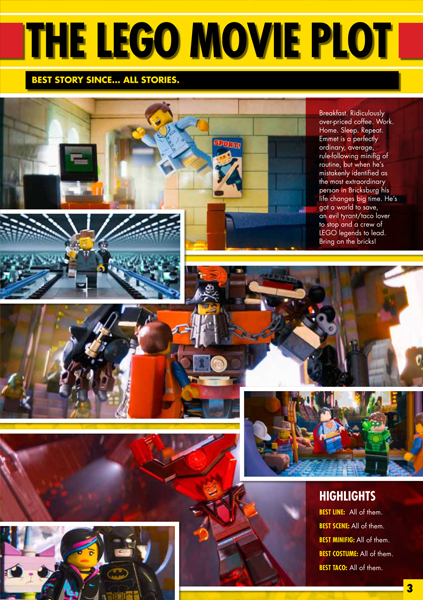 Check out what's in The LEGO Movie Ultimate Fan Guide and buy online now! Only $5.95. 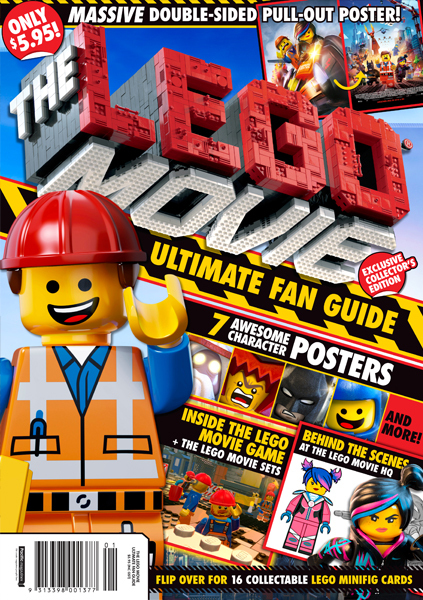 The LEGO Movie Ultimate Fan Guide: Get the low down on the best story since… all stories. 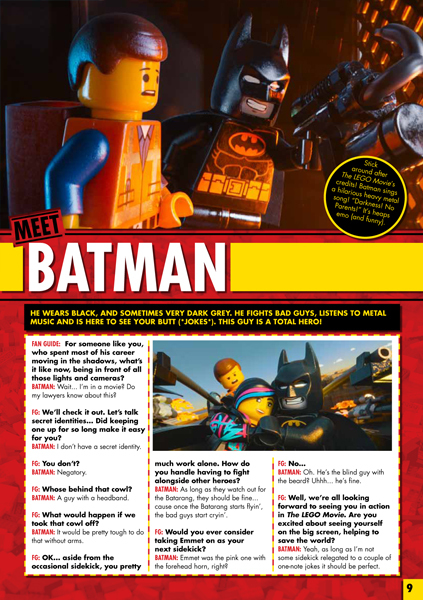 The LEGO Movie Ultimate Fan Guide: Batman. Just hanging out, always ready with the bat-puns. 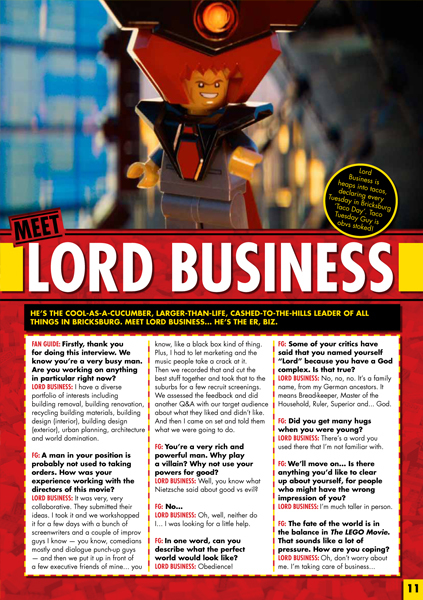 The LEGO Movie Ultimate Fan Guide: Meet LEGO's baddie, Lord Business. He's the er, biz. 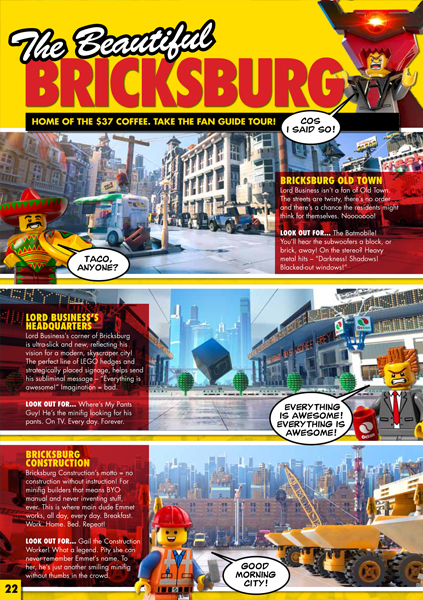 The LEGO Movie Ultimate Fan Guide: Welcome to Bricksburg, home of the $37 coffee and other awesomeness! 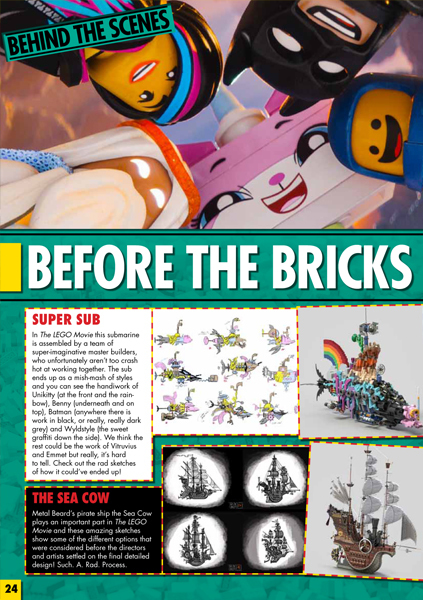 The LEGO Movie Ultimate Fan Guide: Before the bricks there was… amazing exclusive sketches just for K-Zoners. 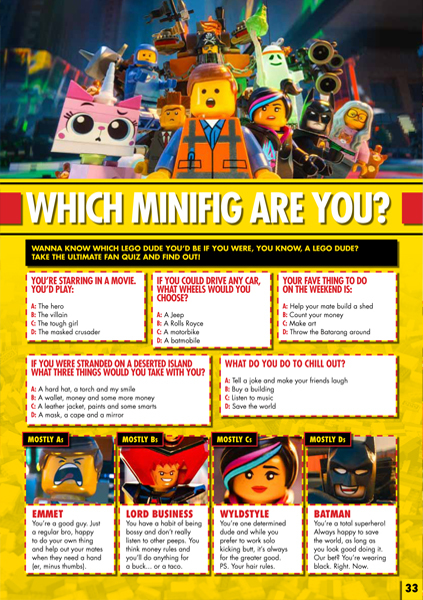 The LEGO Movie Ultimate Fan Guide: The only way to find your true identity: the minifig quiz! Plus get 16 collectable LEGO minifig cards with the mag! awesome, awesome, awesome, awesome, awesome! I love the Lego Movie issue and I LOVE it!!!!! I love this issue of LEGO! Did you know that LEGO means 'Play Well'?. I don'nt really know what language but? THANK YOU for reading! What Avenger would you want to be?